VANCOUVER, CANADA, DEC. 19, 2014 ― For the third consecutive year, 14 Nicola Wealth Management volunteers returned to the Greater Vancouver Food Bank Society earlier this month to invest their time, energy and money to provide hungry people in the city with nutritious food this holiday season. The firm’s volunteers arrived at the Food Bank on Dec. 4 to collect and distribute food in the warehouse. Nicola Wealth volunteers also brought with them a donation of $15,126.80, which was raised through staff donations and fun office activities. This year’s donation builds on last year’s already impressive donation of $11,000. “We are pleased to give our time and funds with the Food Bank as the impact of our donation is maximized by their substantial buying power,” said Keates. The Food Bank works with local farmers, grocery chains, and other suppliers to ensure the donations go as far as possible. For every one dollar donated, the Food Bank is able to purchase three dollars’ worth of goods for their different community agencies throughout the Lower Mainland including missions, drop-in centres, soup kitchens, AIDS service organizations, youth and women’s shelters, community kitchens, mental health agencies and children’s programs. 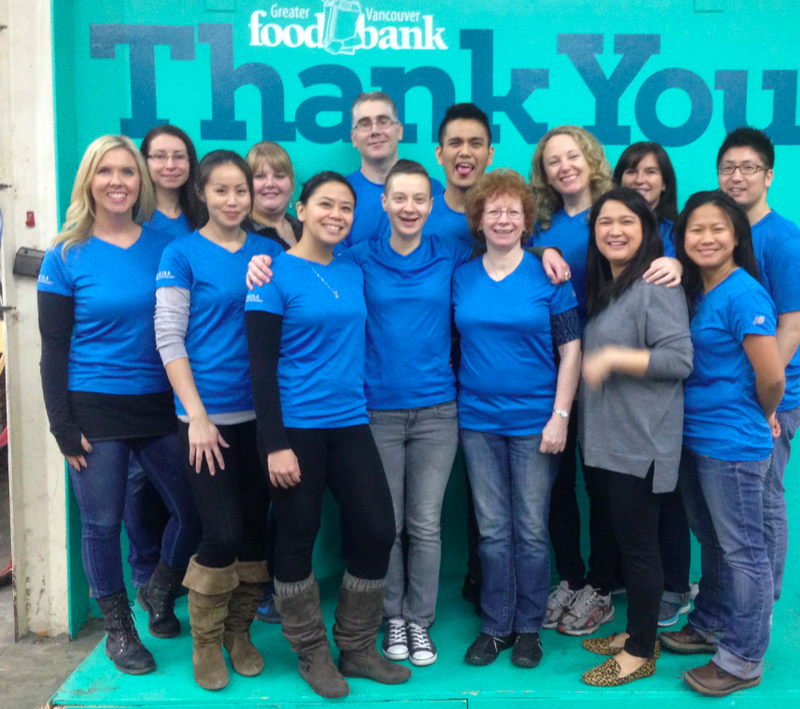 The Greater Vancouver Food Bank’s values align with those of NWM Gives Back. They are committed to its vision of accessible, healthy, and sustainable food for all throughout our community by initiating community collaboration and pro-actively working to help end hunger. NWM Gives Back is the firm’s corporate charity program that supports a number of local and international charities each year. The program focuses on organizations and programs that make a difference in peoples’ lives. With fun initiatives, Nicola Wealth encourages its staff to pitch in and get involved. Over the years, the firm has raised money or volunteered for The Sharing Farm, BC Children’s Hospital, Canuck Place, The Canadian Cancer Society, and Opportunity International. Established in 1994, Nicola Wealth Management (www.nicolawealth.com) is Canada’s fastest growing asset fund management and private investment counsel firm (Investor Economics, 2011) with $3-billion in assets under management. The firm provides wealth accumulation, retirement and legacy planning services and expertise to high net worth individuals, institutions, and foundations across Canada. NWM’s team of experienced advisors and support staff offer one of the best advisor-to-client ratios in the industry.